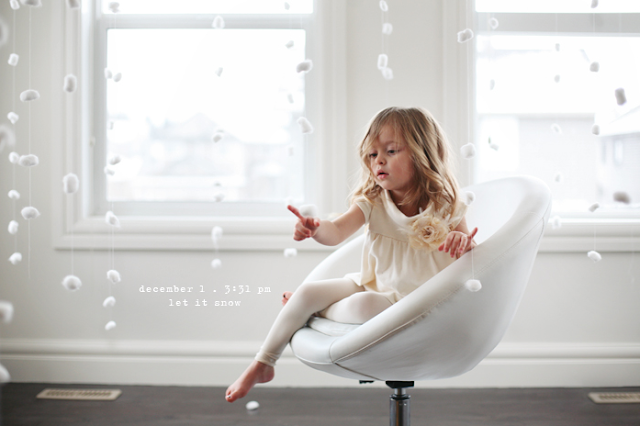 WASTING MY PRETTY: Let It Snow!! Love this cotton snowball decoration (and Lila). Unfortunately I can't touch cotton balls. It's like nails on a chalkboard. But I guess it could be done with tissue paper!